The popular rockers – Wilco are once again coming to perform LIVE at Stage AE on Thursday 8th June 2017! Get ready to catch them as they celebrate their most recent release with brand new material, they will also of course be showcasing all of their classic songs that you love and adore. These guys sure know how to put on a good show – catch it all this summer! Tickets are NOW available to purchase, be sure to book yours quickly before it's too late! 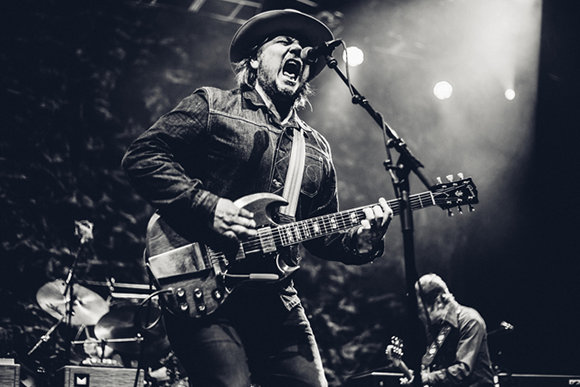 Wilco have been a longstanding act on the live music scene, known for their adaptable yet sincere sound, they have been on the circuit for 22 years and counting! With an impressive ten studio albums to date and an extra live album, they're not short of material. Combining elements from Country and Rock, their fan base is far and wide, not just in North America but globally! If you have the chance to see them this year – take it!! "Wilco are at their best when they subvert their conservative impulses: See "Locator," with its loping bass line and guitar skronk, sounding like a matured sequel to the Pixies' "Debaser." Or "Common Sense," a melodically and rhythmically woozy shout-out to that Middle American virtue, with marimbalike flourishes and insectile guitars rising like cicadas on a still summer night."